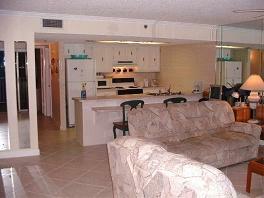 My condo is in a resort condominium located directly on the beautiful Gulf of Mexico. My unit is on the 7th floor and provides a panoramic view of the Intracoastal Waterway and a partial view of Gulf beach. It is a short drive to Busch Gardens, Disney World, Sea World, and many other central Florida attractions. 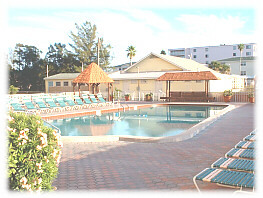 Just 45 minutes from Tampa International Airport. 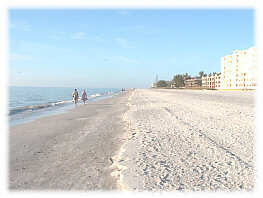 My unit is in a waterfront resort condominium situated directly on the Gulf of Mexico between Clearwater and St.Petersburg. Each bedroom has a cable TV. 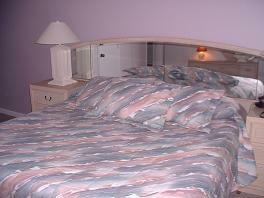 The unit is also equipped with a roll away bed for a 7th person if needed. Other information about the other living space: Living room is equipped with a sofa, love seat, entertainment center with cable TV & VCR. 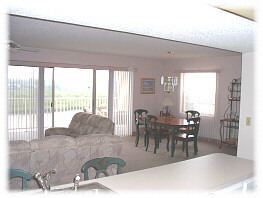 A private fishing pier is available for condo guests at no extra cost. Also available is a boat dock which guests can use. You can keep an eye on your boat from my balcony. A modern public boat ramp is within walking distance and also visible from my balcony. There are several BBQ grills available next to shuffle board courts for cookouts. Discounts given for stays of one month or more.